Mon., April 16, 2018, 4:54 p.m. The Seattle Mariners find themselves in a precarious position just 13 games into the 2018 season and trying to snap the longest playoff drought in the four major U.S. pro sports. They’re off to a good start at 8-5 and have a winning record both at home and on the road. By all accounts, the M’s and their fans should feel pretty good about where the team is headed right now. There is even good news available, as outfielder Ben Gamel seems ready to be activated from the disabled list for a right oblique strain after successful rehab appearances over the weekend. Ariel Miranda is expected to be added to the roster tomorrow to start against the Astros, and pitcher Erasmo Ramirez, 1B Ryon Healy and C Mike Zunino all may be back in the next week to 10 days as well. Well, unlike the others, there isn’t a natural corresponding move to activate Gamel. Well, there is, but it’s not a popular one. The M’s will likely send down a reliever to activate Miranda to fill out the rotation. Andrew Romine or Dan Vogelbach could be shipped out to add Healy and Mike Marjama will be returned to the minors to bring back Zunino. Activating the left-handed hitting outfielder Gamel is trickier though, because the logical move involves one of the franchise’s greatest players in its history. Yes, the most obvious move to add Gamel to the roster would be to designate Ichiro Suzuki for assignment – essentially waiving the icon. Gamel – who hit .275/.322/.413 with 11 homers and 59 RBIs last season – is ready to go, and manager Scott Servais admitted in his pregame press conference on Monday that the roster manipulation is the primary reason Gamel hasn’t been activated yet. This isn't about health or readiness with Gamel at this point. Servais: "I think he's in a pretty good spot to come back. We are just trying to do the right things roster-wise as much as anything. That plays into it." The M’s signed Ichiro prior to the season in a panic, really. The outfield situation was a mess with Gamel on the disabled list. As a fifth outfielder and left-handed pinch-hitter on the roster, Ichiro probably still has some limited viability. But early on this season, Ichiro has looked every bit of his 44 years, slashing a paltry .207/.207/.414. He’s 6 for 29 with no walks, no stolen bases no RBIs and no extra-base hits over the first nearly one-tenth of the season. The team carries only four actual outfielders because Nelson Cruz can’t play the field anymore and Taylor Motter is an emergency outfielder at best. So the M’s can’t really afford to let Guillermo Heredia go instead of Ichiro to activate Gamel. 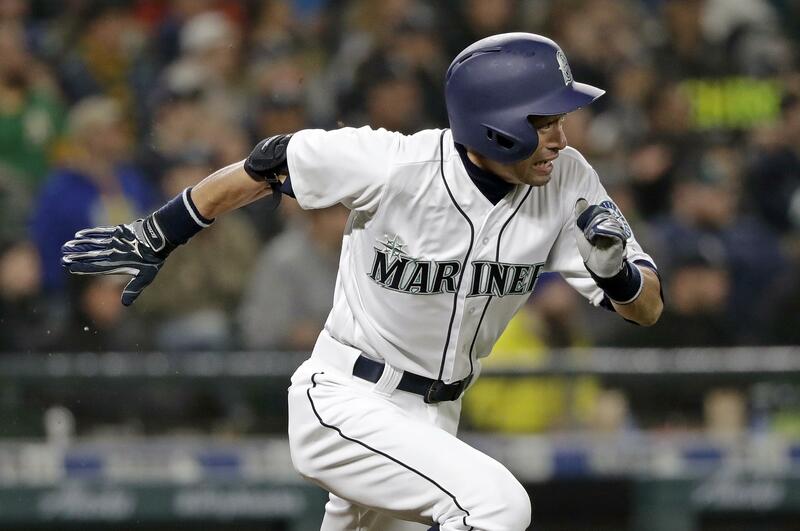 The Mariners don’t want to push Ichiro to the curb this early in the season and it’s hard to imagine another MLB team taking a chance on claiming him off waivers or via trade. And if he cleared waivers, would the great and proud Ichiro even consider a minor league assignment? Probably not. No one involved wants Ichiro’s storied big league career to end this way, but it may be unavoidable. The fact that the move wasn’t made ahead of Monday’s series-opening game against Houston illustrates the dilemma GM Jerry Dipoto faces: make the ballclub demonstrably better or spare the aging icon the embarrassment of a DFA. Published: April 16, 2018, 4:54 p.m.